His portraits all show the same man but each portrait stays interesting to look at. In August I went to the Dali exhibition at the Moco. 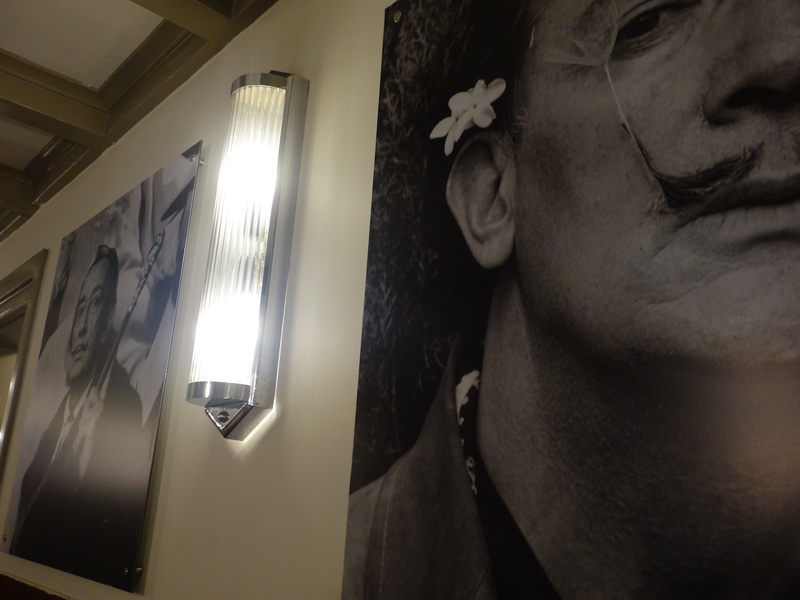 It was not a big exhibition but still gave an interesting insight into Dali’s art. When it comes to art there are always certain names that are mentioned as references for something special. Dali is often the reference to surrealist art at its best or most interesting, whatever you prefer. For me Dali is the eccentric artist who crossed many lines yet never lost his appeal. Whether his work was “art-for-art” or commercial there has always been something about his work. The best way to discover what Dali might mean to you is to read a bit about him and look up all his works in your own time. An exhibition is really rewarding. The scope of his work is beyond what you would expect. The exhibition at the Moco was fun. Once you grew older you understand this more and more. Before Marilyn Monroe there was Mae West. Surrealist collage of Mae West in the living room. Posted in Photos and tagged Amsterdam, art, eccentric, exhibition, MoCo Amsterdam, museum, Salvador Dali, surrealism, surrealist on November 7, 2017 by rura88.